How can we use line to capture the basic details of an object? Mrs. LaVangie's second grade class is exploring contour lines, or the outline of an object. They watched a fun video from art teacher Tricia Fugelstad to truly discover what a contour line is. 2nd grade artists then learned that practice makes perfect. 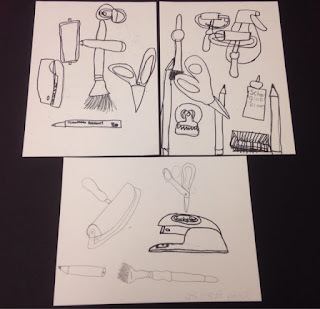 They experimented with drawing many different objects in the art room; scissors, glue bottles, ink brayers, paint brushes, and more. 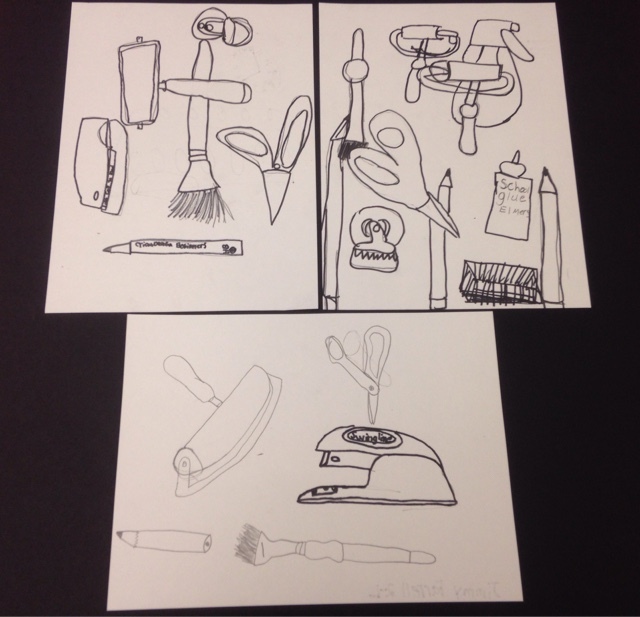 I was so impressed with how they were able to capture the objects with simple lines. Take a look!